Cooperative Development Services - CooperationWorks! Cooperative Development Services shares a vision of people working together cooperatively and responsibly to achieve their social and economic well-being through organizations they own and control. 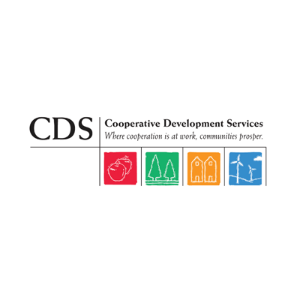 The mission of CDS is to support, build and strengthen organizations that contribute to cooperative and sustainable development through consultation and participation in the development, resturcturing and expansion of cooperative organizations in Wisconsin, Minnesota and Iowa. Cooperative Development Services is a non-profit organization founded in 1985. Since its inception, CDShas been committed to providing a range of innovative, results-oriented, and cost-effective services to cooperatives and related organizations. Drawing on the skills and expertise of an experienced and knowledgeable staff, CDS has participated in the development, restructuring, and expansion of over 500 cooperative organizations of all kinds. CDS provides consulting on a fee-for-service basis and is often successful in helping clients secure grant funding.